Death-Notice* 9 Mar 1956 HOLMAN.-The Funeral of the late Mr. JOHN BOSTRAZE HOLMAN will leave the Church of England, Elmore, THIS DAY (Friday), after a service commencing at 1 p.m., for the Elmore Cemetery. 4 Apr 1928, BOY MIGRATION. Party of Little Brothers. Little Brother. Big Brother. Employer. [S5] Registry of Births Deaths and Marriages Death Index Victoria 1921-1985 "age calculated from death entry." [S5] Registry of Births Deaths and Marriages Death Index Victoria 1921-1985 "#D14991 age 61 [par John Howe HEWLETT & Emma Lucy SHARPE]." [S36] Inward & outward passenger lists to and from Victoria. Series: VPRS 14; 7666; 7667; 7786); PROV (Public Records Office Victoria), Medic. 825 001/002. 1917/18 N45; 1920/21 N60; 1921/22 House N110 - per 15 Dec 1922 sold to J B HOLMAN of Bamawm Central. [S185] Property Titles. ; PROV (Public Records Office Victoria), C/T 5779-745 - John Bostraze Holman to Herbert Thomas Curtis of Emerald Country Club Emerald Gentleman. [S11] Newspaper - Argus 8 Mar 1956, p18. [S11] Newspaper - Argus 9 Mar 1956, p20. [S65] Ancestry - various indices, 1911 census: Class: RG14; Piece: 14090; Schedule Number: 16; . [S11] Newspaper - Argus 3 Mar 1923, p35. [S11] Newspaper - Argus 14 Apr 1923, p31. [S11] Newspaper - Argus 1 Jan 1926, p11. [S11] Newspaper - Argus 14 Aug 1926, p13. [S11] Newspaper - Argus 28 Aug 1926, p37. [S11] Newspaper - Argus 4 Apr 1928, p22. [S65] Ancestry - various indices, UK, Outward Passenger Lists, 1890-1960 [database on-line]. Provo, UT, USA: Ancestry.com Operations, Inc., 2012. A. L. Atcliffe, age 16, no occupation. 20 Norton Street, Grantham, Lincolnshire. 6 May 1915, Police against Berglund, and Police against Lalor.—Informations for using fire at Upper Beaconsfield contrary to the provisions of the Police Offences Act. Sergeant Parkin prosecuted for the Police and Mr Macpherson appeared for both defendants. As a preliminary objection, Mr Macpherson asked the Bench to say that no offence appeared on the proceedings. He pointed out that the defendant were responsible people, landowners and their manager, and as the penalty of Section 8 of the Act was a very severe one, being a fine of £100 or imprisonment for six months, it was a matter of the greatest importance to have the alleged offence clearly and explicitly defined. This was not done in the form in which it appeared before the Court. Mr Harris agreed with the contention of counsel, and said it was clear that the information should be amended. He would amend the information and grant an adjournment if desired. Sergeant Parkin then said that the allegation was that defendants on the 8th February last did leave a fire which they had used in the open air before the same was completely extinguished. Mr Macpherson said defendants denied the charge, and were prepared to go on. Constable Maher, William Bird, and Messrs McMahon and Pearson gave evidence in support of the affirmative, and were cross examined by Mr Macpherson. This closed the case for the police. Mr Macpherson then asked the Bench to dismiss the cases on the ground that there was no evidenced be fore the court to show that defendants had left the fire which they had used before it was completely extinguished. [S1] Registry of Births Deaths and Marriages Pioneer Index Victoria 1836-1888 "mother as Kate HIGGINS." [S5] Registry of Births Deaths and Marriages Death Index Victoria 1921-1985 "#D5170 age 78." [S62] Western Australian Government. BDM Index Western Australia. [S131] Electoral Roll for Australia, 1931 "retired." 9 Mar 1933, Mr. D. McDonald, the mail carrier from here to Emerald, had a narrow escape from very serious injuries one day last week. He was making the return trip from Emerald on his motor bike, when on turning a sharp corner oh the road he collided with a large motor truck used in hauling pine logs. 22 Jul 1953, UPPER BEACONSFIELD. "KYOGLE," MAIN ROAD. SPLENDID TIMBER VILLA. VACANT POSSESSION. Contains Spacious Lounge-room, Large Dining-room, 7 Bedrooms, Sleepout, Kitchen, with Aga stove, HWS, Bathroom. Views of Surrounding Countryside extending to Sea. TERMS £2000 Dep Bal £4 Per Week Including Interest 5% 3 Years. [S30] Nominal Roll, Australian War Memorial - WWII, http://www.ww2roll.gov.au/, has birth date 18 Nov 1900. [S352] St John's Church, St John's Memorial Book, David MacDonald born 16 Nov 1898 died 20 Jun 1969. [S185] Property Titles. ; PROV (Public Records Office Victoria), C/T 3758-495 states that Elizabeth McDonald was already living at Kyogle when she bought the property on 23 Feb 1949. On 15 Sep 1949 the property was changed into joint proprietorship of Elizabeth McDonald married woman and David McDonald, guest house proprietor, both of Kyogle, Upper Beaconsfield. sellers and buyers were joint proprietors with their respective spouses. on 6 Oct 1969 title cancelled replaced with C/T 8810-702. [S16] Newspaper - The Age searched for death notice - none on 23 Jun 1969, issues not online for 21 + 22 June. [S35] Probate Records, PROV (Public Records Office Victoria), VPRS 28/P5, unit 475; VPRS 7591/P4, unit 69. [S185] Property Titles. ; PROV (Public Records Office Victoria), C/T 8810-702 - Elizabeth Bessie McDonald = surviving proprietor. [S352] St John's Church, St John's Memorial Book, Elizabeth Wagner MacDonald born 14 Feb 1897 died 11 Apr 1978. [S11] Newspaper - Argus 9 Sep 1930, p11. [S218] Newspaper - The Dandenong Journal (1927-1954) "9 Mar 1933, p4." [S11] Newspaper - Argus 8 Jul 1939, p10. [S11] Newspaper - Argus 30 Mar 1949, p8. [S11] Newspaper - Argus 22 Jul 1953, p11. 1901 census shows her siblings born at Ballymacraheen, even though Bessie is visiting someone else. [S185] Property Titles. ; PROV (Public Records Office Victoria), C/T 3758-495 states that Elizabeth McDonald was already living at Kyogle when she bought the property. [S185] Property Titles. ; PROV (Public Records Office Victoria), C/T 8810-702 - Elizabeth Bessie McDonald to Desmond James McKenna Factory Manager and Mary Carmel McKenna Married Woman both of 33 Sycamore Street Camberwell - joint proprietors. [S16] Newspaper - The Age 14 Apr 1978, p22. [S35] Probate Records, PROV (Public Records Office Victoria), VPRS 28/P8, unit 630; VPRS 7591/P4, unit 787. [S50] Miscellaneous Source, http://www.census.nationalarchives.ie/ 1901 census. [S50] Miscellaneous Source, http://www.census.nationalarchives.ie/ 1911 census. (Witness) Book 1912 Victorian Tourist Bureau Guide Book: Within 3 miles of the railway station, (Beaconsfield) on the hills, a vacation or week-end camping ground has been laid out, and christened "Quamby" (the booklet says this is "the aboriginal name for camp"). The main road to the farther heights beyond runs right past the allotments into which the reserve has been subdivided, and by means of passing coaches it is an easy matter to get to and from the station. 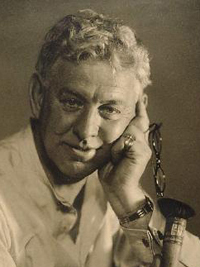 Death-Notice* 14 Mar 1938 LUKE.-On March 12 (suddenly), at his residence "Montuna," Beaconsfield, Edmund Thomas, beloved husband of Ida Florence, father of Monte, Ernest, Una, Vic, Bert, Lill (Mrs Ashcroft), Kelvey and Vera (Mrs Dennis), aged 74 years. I spread out my white wings and fly home to Thee. LUKE—on March 12 (suddenly), at his residence "Montuna," Beaconsfield, Edmund Thomas, loving father of Vera (Mrs Dennis) and father-in-law of Ernest, loved grandfather of Bryan and Judith. A wonderful father. LUKE—on March 12 (suddenly), at his residence "Montuna," Beaconsfield, Edmund Thomas, loving father of Victor, father-in-law of Nellie, grandfather of Verna, Kelvin, Austyn and Margaret. My dad. LUKE—on March 12 (suddenly), at his residence "Montuna," Beaconsfield, Edmund Thomas, loving father of Kelvey, father-in-law of Marjorie grandfather of Kelvey, jun. A wonderful pal. LUKE—on March 12 (suddenly), at his residence "Montuna," Beaconsfield, Edmund Thomas, loving father of Monte, father-in-law of Elsie, grandfather of Peter (Sydney). At rest. In 1906 Edmund Luke, the first "artist and photographer" employed by "The Age" bought 55 acres of land between Emerald road and Cardinia Creek. He farmed this land, and on the top of the hill built his home "Montuna", which he named after his two older children, Montague and Una. This land is now part of the "Montuna Golf Course." A few years later he bought 18 acres of land to the north of his farm and subdivided it into 25 lots of varying size, some 1 to 2 acres. The smallest ones were 10 house blocks along Emerald Road; all are shown on the Plan of the "E.T. Luke" Subdivision, dated March 1917. Two streets are shown on the plan, Montuna Grove, and Victor Avenue, the latter being named after his son who was serving in the armed forces. The allotment on the corner of the reserve and facing Emerald Road, Luke gave to his daughter Lilly, who promptly built a skillion shed on the site, and became the first storekeeper of a convenience store. Australia Post used the store as a mail drop centre, where local residents could retrieve their mail, without having to go all the way to post offices at Beaconsfield or Upper Beaconsfield. When Lilly married, her sister Una became the storekeeper. In 1936 the storekeeper was a Mrs Guy, whose husband Herb, a builder, added to the building, making it a habitable dwelling, and turning the skillion into the present gable roof. In 1942, Australia Post was approached with the request that the store become a licensed post office, which would enable Mrs. Guy to issue local residents with the food and petrol ration tickets that were needed during wartime. The request was granted, the post office being named "Guys Hill." The store thus became a post office, convenience store, petrol station, news agency, and dwelling, and managed to trade profitably for many years. In February 1997, Pamela Trounsen and Steve Rimmer became the store proprietors. Their enthusiasm and friendly approach soon gained them much local respect and support, but the level of trading was not what they expected, and it was soon apparent there were difficulties. Added to this, within a few months Pam developed a health problem which put most of the load on Steve. Pam says she was most grateful for the wonderful support they received from local people during this very stressful period. Sadly, since that time a series of adverse events, all outside their control, have resulted in the business being no longer viable and with great reluctance they were forced to close the store on May 11th. Steve, an experienced chef, is now working at the Montuna Golf Club; several people have said that if you are lucky enough to be free at lunchtime, a visit there will be a very enjoyable experience. Pam is now in much better health, and facing the future with courage. Despite everything she still retains her delightful friendly smile. 17 Jan 1912, PUBLIC NOTICES. A Copy of Prospectus has been Filed for Registration with the Registrar-General as Required by Section 87 of the Companies Act. 1910 ABRIDGED PROSPECTUS of The PHOTO VISTA FILM PRODUCTION COMPANY LIMITED. To be Incorporated Under the Companies Act 1910. CAPITAL: £20,000. IN 20,000 SHARES of £1 EACH. 3,500 Shares, fully paid up, to be allotted to the Vendors (The Photo Vista Film Production Syndicate) as part consideration for the business of the Syndicate. 10,000 Ordinary Shares are to be offered to the public for subscription, payable, 2/6 per share on application; 2/6 per share on allotment; 5/ per share within three months, and balance as required by calls not exceeding 2/6 per month. 6,500 Shares will be held in reserve for future issue if required. The Hon. THOMAS LANGDON, M.L.A., Kerferd-road, Albert Park. 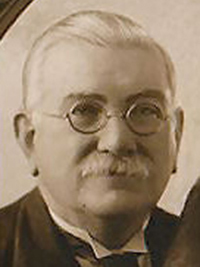 FRANK BUCKHURST, Esq., Flinders-street, Melbourne, Chemist. SOLICITORS: Messrs. FORD, ASPINWALL and DE GRUCHY, 128 Queens-street, Melbourne. 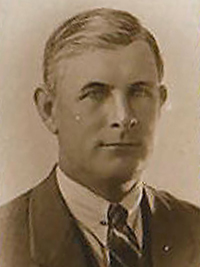 A. O. LEWIS, A.I.A.V. (Wm. Medhurst Taylor and Coy. ), 21 Queen-street, Melbourne. OBJECTS. The Company is being formed to acquire from the Vendors on the terms herein set out the business, together with all the assets thereof, now being carried on by the Photo Vista Film Syndicate; to carry on that business and extend same, including the manufacture, sale, purchase, lease and other dealings with cinematographic negatives, films and apparatus, and also, if thought advisable, to establish in various parts of Australia moving picture theatres. No better opportunity than the present is likely to present itself for entering into this business. The demand for films exceeds the supply. Picture theatres are paying well, and many of them are returning extremely handsome profits. The whole field of educative cinematography is practically unexplored. When one remembers the avidity with which either frankly scenic films of foreign countries or films showing dramatic subjects with a background of foreign countries are received by picture audiences here, it is fair to assume that films produced in this country under similar conditions will receive a similar reception to other countries. The picture film production business in Victoria is in its absolute infancy, and the promoters of the Vendors Syndicate felt so confident that there was a splendid opening to establish such a business that they inaugurated a syndicate and commenced to establish the business. One of the Vendors has a large farm of 60 acres at Beaconsfield available for the acting of dramatic subjects. The only matter that hampered the Syndicate was want of capital, and that is the only reason that the Syndicate has for proposing to form a Company and inviting the subscriptions of the public. That large capital is required and can be fearlessly invested in film production, and that the proposal of the promoters are based on sound business principles can be best illustrated by reference to undertakings and methods in other parts of the world. One company in the United States has a ranch located in wild mountainous country where wild west mountainous films are produced by quite an army of cow-boy actors. In one immense glass studio theatre in Italy a film was recently produced in which 400 persons appeared on the stage at one time. In battle scenes it is not an unusual thing to see hundreds of soldiers in full uniform and equipped in every detail acting some historical episode amidst natural surroundings. The Vistagraph company of America owns a fleet of vessels in constant use, conveying artists to and fro on the Hudson and St Lawrence Rivers. The sum of £2000 was paid out before the film known as "The Life of Christ" was completed, and the owners realised the handsome profit of £30,000 on that film alone. A large sized town has sprung up; with a still growing population of over 6000 employees solely engaged on Pathe Freres splendid productions on the Continent. In England nearly £400,000 is spent weekly in film production, and in America over £30,000,000 is invested solely in the moving picture business. The customers for these films are the picture theatres and shows. Although theatrical ventures by the score have failed, no picture theatre but is paying handsome dividends. The reasons are not far to seek, for there is no limit to the nature of the subjects dealt with. The services of the best artists can be employed, and the whole world can be levied upon to produce a night's amusement. The Commonwealth of Australia and Dominion of New Zealand are the happy hunting ground of wealthy tourists. Their unsurpassed beauty spots are unknown even to many of our own people. As subjects of cinematography they contain scenic treasures, practically untouched. The Promotors are convinced that with the development of the production of films of Australian scenes, a new era will be opened in cinematography, and that just at a time when perfection of these scenes can be reached, by the wonders of color cinematography. Pathe Freres have expressed their willingness not only to act as distributors for films on usual business terms, but to purchase outright films where they are subjects suitable for export. One of the syndicate has been for years preparing and collecting ideas for the profitable development of the moving picture business. His association with The Age Office, where he has been illustrating The Leader for the last eighteen years, is a guarantee of his ability in obtaining, selecting and making pictures, and of his enthusiasm and artistic ability. He has travelled throughout Australasia many times, and no one is better equipped with the valuable knowledge of how, when and where to obtain the typical and romantic scenes and incidents of Australian life, which are only waiting to be produced in moving picture form to find an outlet in an assured market for oversea as well as Australian rights. The staging of dramas and all details connected therewith will be in the able hands of Mr. Chas. Wheeler, who for seventeen years was the right-hand man in those masterly productions which made Mr. Bland Holt's name a household word throughout Australasia, assisted by capable actors who have for months been training themselves for the special requirements of picture work. A combination of expert workers is thus available for immediate work. These gentlemen have, during the last twelve mouths, expended much time in pioneering and thoroughly mastering every detail of the film producing business. They have opened up relations with the leading film producing firm above mentioned, and their proposals to produce distinctively Australian films have been received with eager welcome and an assurance that there is an unlimited market for such films. With the pioneering work done the company will take over the business, which is a going concern. "The Photo Vista Company have just produced the first Australian Comedy produced in Australia. The story is indescribably funny, and the situations original and unique. The whole work is Australian throughout, and is now in the hands of Pathe Freres for inspection. The same company have also completed a fine drama, entitled 'A Miner's Luck,' to be released in due course. Progress with the new venture has been so satisfactory that arrangements are now being made to release at least one drama of comedy weekly. Mr. "Chas. Wheeler (seventeen years with Bland Holt) will be the producer, and some fine stories are being put in hand." The rights of Mr. Ambrose Pratt's "Outlaws of Weddin Range" have been acquired from that, gentleman by the syndicate in consideration of 100 shares and 7½ per cent royalty. 1. In the event of the company being wound up the deferred shares will not participate in any distribution of assets until subscribing members of the company have been paid 20/ in the pound in respect of the capital paid up by them. 2. These shares will carry no dividend until subscribing members have been paid six pounds per centum on the amount of capital paid up by them from time to time. Thereafter deferred shareholders shall receive six pounds per centum if the profits allow. Any profits in excess of these amounts paid by way of dividend shall be paid to subscribing and deferred shareholders pari passu. The Manager of the Syndicate will enter into a long engagement with the Company as Manager, and will undertake to devote his whole time and attention to the business of the company, and also will make suitable portion of his property above mentioned at Beaconsfield available to the company for film production on a long lease at a merely nominal rental. Mr. Wheeler will take charge of the stage production, and generally act as Stage Manager. The Vendors only ask for so much as will purchase the assets in hand at a valuation. For their work, expenditure and losses in founding the concern, training the staff of artists and assistants, and obtaining the expert experience they now have, they are prepared to accept shares on the fore going conditions. (a) The draft Memorandum of Association showing the names, descriptions, and addresses of such persons as have up to the present signed such Memorandum and the number of shares up to the present subscribed for by them appear at the end hereof and form part of this Prospectus. The only founders or management on deferred shares are the abovementioned 3500 shares to be issued to the Vendors. (b) The number of shares to be fixed by the Articles as the qualification of a Director shall be 100, and the remuneration of the directors shall be determined by the company in General Meeting. (c) The names, descriptions and addresses of the Proposed Directors are:- The Hon. THOMAS LANGDON. M.L.A., Kerferd-road, Albert Park. 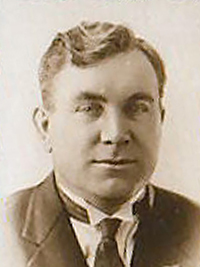 FRANK BUCKHURST, Esq., Flinders-street, Melbourne, Chemist. (d) The minimum subscription on which the Directors may proceed to allotment is 4000 shares. and the amount payable on application and allotment respectively is 2/6. (e) The number and amount of shares which it has been agreed shall be issued as fully paid up otherwise than in cash is the abovementioned 3500 shares only. (f) The Vendors are the Photo Vista Film Production Syndicate, of Cromwell-buildings, Bourke-street, Melbourne, and the names and addresses of the members of that Syndicate can be obtained on application to Messrs. Ford, Aspinwall and De Guchy, solicitors, 128 Queen-street, Melbourne. The amount payable in cash to the Vendors shall be £500 and the aforesaid 3500 shares shall be issued to them. (g) The amount payable as purchase money in cash and shares for the aforesaid property is as aforesaid, no part of which is payable for goodwill. (h) No amount is payable as commission for subscribing or agreeing to subscribe or procuring or agreeing to procure subscriptions for any shares of the Company, except a commission of 2½ per cent, as brokerage in respect of shares actually issued. (i) The amount or estimated amount of preliminary expenses, including, such brokerage, cost of advertising, legal expenses incidental to the promotion, prospectus and registration of the Company, is £400. (j) Other than as set out in (i) above no amount has been paid or is intended to be paid by the Company to any Promoter. (k) Except a verbal arrangement made with Mr. Ambrose Pratt for the cinematograph rights of "The Outlaws of Weddin Range" as above, no contract has been entered into on behalf of the Company. (l) No Auditors have been appointed. 10 Aug 1917, BERWICK SHIRE COUNCIL. CORRESPONDENCE. 20 Nov 1934, GOLDEN WEDDING. 11 Mar 1939, LUKE. — In loving memory of our dear husband and father, Edmund Thomas, who passed away suddenly on March 12, 1938. With loving thoughts worth all the cold. —Inserted by his loving wife and family, Montuna. Beaconsfield. LUKE. — In sad and loving memory of our dear dad, who passed away March 12, 1938. — Inserted by his loving son, Kelvey; daughter-in-law, Marjorie, and grandson, Kelvey. Dreams that lend me back to you thro memory lane. LUKE. — In loving memory of our dear father and grandpa, Edmund Thomas. In memory you are with us yet. [S5] Registry of Births Deaths and Marriages Death Index Victoria 1921-1985 "#D12342 age 72 [par May Robert & Annie Eliz MAY]." [S80] Ancestry - Family Tree, "marilyn gerashe" viewed Dec 2010. [S1] Registry of Births Deaths and Marriages Pioneer Index Victoria 1836-1888 "#M6387." [S185] Property Titles. ; PROV (Public Records Office Victoria), C/T 1695-836 - Annabella Syme, John Herbert Syme, George Francis Ebenezer Syme, Arthur Edward Syme, Geoffrey Syme and Oswald Julian Syme. Mortgage No 285727. Discharged 18 Jun 1913. [S66] Berwick Shire Rates, 1870-1965 1906-7 Ross Agnes Beaconsfield DD Owner N12 56a (previously National Bank) until 1909-10, then Edmund Luke N15 in 1910/11. [S185] Property Titles. ; PROV (Public Records Office Victoria), C/T 1695-836 - Edmund Thomas Luke of Normanby Road Caulfield Artist. [S185] Property Titles. ; PROV (Public Records Office Victoria), C/T 1695-836 - Mortgage No 321134. [S185] Property Titles. ; PROV (Public Records Office Victoria), C/T 1607-348 - David John Davies Bevan to Archibald Osbourne Lewis of Collins Street Melbourne Accountant and Edmund Thomas Luke of Beaconsfield Artist proprietors as tenants in common - C/T 3767-324. [S185] Property Titles. ; PROV (Public Records Office Victoria), C/T 3767-324 - Archibald Osbourne Lewis and Edmund Thomas Luke to Alice Gould of Queens Road Melbourne Spinster - C/T 3826-105. [S185] Property Titles. ; PROV (Public Records Office Victoria), C/T 3767-324 - Archibald Osbourne Lewis and Edmund Thomas Luke to William Lind of 16 St James Street Moonee Ponds Carrier - C/T 3946-020. [S185] Property Titles. ; PROV (Public Records Office Victoria), C/T 3767-324 - Archibald Osbourne Lewis and Edmund Thomas Luke to Enos Brown of Beaconsfield Gardener - C/T 4227-337. [S185] Property Titles. ; PROV (Public Records Office Victoria), C/T 3767-324 - Archibald Osbourne Lewis and Edmund Thomas Luke to William Henry Hayes of Brindisi Street Mentone Carpenter - C/T 4227-338. [S185] Property Titles. ; PROV (Public Records Office Victoria), C/T 3767-324 - Archibald Osbourne Lewis and Edmund Thomas Luke to Gilbert Francis Walsh of Reilly Parade North Fitzroy Accountant- C/T 4227-340. [S185] Property Titles. ; PROV (Public Records Office Victoria), C/T 3767-324 - Archibald Osbourne Lewis and Edmund Thomas Luke to Lucy Charlotte Keating of 18 Drummond Street Carlton Widow - C/T 4227-340. [S185] Property Titles. ; PROV (Public Records Office Victoria), C/T 3767-324 - Archibald Osbourne Lewis and Edmund Thomas Luke to Alfred Walter Andrew of Beaconsfield Theatrical Artist - C/T 4236-187. [S185] Property Titles. ; PROV (Public Records Office Victoria), C/T 3767-324 - Transfer as to Balance to Edmund Thomas Luke and Richard Winter Musgrave - C/T 4259-679. [S185] Property Titles. ; PROV (Public Records Office Victoria), C/T 4259-679 - Richard Winter Musgrave and Edmund Thomas Luke to Oswald Neil Palmer of 15 Wilton Grove Elwood Accountant - C/T 4364-743. [S185] Property Titles. ; PROV (Public Records Office Victoria), C/T 4259-679 - Richard Winter Musgrave and Edmund Thomas Luke to Una Florence Luke - C/T 4400-968. [S185] Property Titles. ; PROV (Public Records Office Victoria), C/T 4259-679 - Richard Winter Musgrave and Edmund Thomas Luke to Oswald Neil Palmer of 15 Wilton Grove Elwood Accountant - C/T 4414-937. [S185] Property Titles. ; PROV (Public Records Office Victoria), C/T 4259-679 - Richard Winter Musgrave and Edmund Thomas Luke to Violet Brewster of 109 Tooranga Road East Malvern Spinster - C/T 4415-938. [S185] Property Titles. ; PROV (Public Records Office Victoria), C/T 4259-679 - Richard Winter Musgrave and Edmund Thomas Luke to Harry Goold of 55 Nimmo Street Middle Park Foreman - C/T 4458-552. [S185] Property Titles. ; PROV (Public Records Office Victoria), C/T 4259-679 - Richard Winter Musgrave and Edmund Thomas Luke to Charles McIntosh of 32 Crimea Street St Kilda clerk - C/T 4521-006. [S185] Property Titles. ; PROV (Public Records Office Victoria), C/T 4259-679 - Richard Winter Musgrave and Edmund Thomas Luke to Francis William Tolra of 29 Banole Avenue Windsor Photographer - C/T 4624-624. [S185] Property Titles. ; PROV (Public Records Office Victoria), C/T 4259-679 - Agnes Annie Carpenter of 358 High Street Windsor Married Woman - C/T 4807-234. [S185] Property Titles. ; PROV (Public Records Office Victoria), C/T 4259-679 - Amy Rose Enders of 80 Beaconsfield Parade Albert Park Grocer - C/T 4958-403. [S185] Property Titles. ; PROV (Public Records Office Victoria), C/T 4259-679 - Richard Winter Musgrave and Edmund Thomas Luke to Katrine Palmer of 15 Wilton Grove Elwood Widow - C/T 5054-669. [S11] Newspaper - Argus 14 Mar 1938 p10. [S16] Newspaper - The Age 14 Mar 1938, p1. [S185] Property Titles. ; PROV (Public Records Office Victoria), C/T 1695-836 - Edmund Thomas Luke died on 12th March 1938. Letters of Administration of his estate have been granted to Ida Florence May Luke of "Montuna" Upper Beaconsfield Widow. [S185] Property Titles. 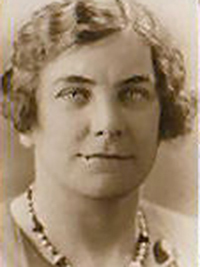 ; PROV (Public Records Office Victoria), C/T 1695-836 - Ernest Reginald Luke Manager Una Florence May Luke Spinster and Herbert Stanley Luke Manager all of "Montuna" Upper Beaconsfield each as to ten equal undivided thirty-sixth parts or shares and Lillian Myrtle Ashcroft of 612 Dean Street Albury New South Wales Widow and Ida Vera Dennis of Linacre Road Hampton Married Woman - each as to three equal undivided thirty-sixth parts or shares are now the proprietors as tenants in common - C/T 6287-375. [S362] Upper Beaconsfield Association ,"Correspondence Shire of Pakenham to UBA 23 Jul 1979, reply 9 Sep 1979, and thankyou letter 31 Oct 1979." [S15] Newspaper - Village Bell "Issue 140, Jun/Jul 2001, p3 by Charles Wilson." [S114] Electoral Roll for Australia, 1914 "Una's address = Beaconsfield." 4-417-A Luke Una Florence F 86 7/07/1973 1673. [S16] Newspaper - The Age 17 Jan 1912, p5. [S12] Newspaper - South Bourke and Mornington Journal 21 Jan 1915, p3. [S196] Newspaper - Dandenong Advertiser and Cranbourne, Berwick and Oakleigh Advocate (Vic. : 1914 - 1918) "21 Jan 1915, p2." [S14] Newspaper - Dandenong Advertiser and Cranbourne, Berwick and Oakleigh Advocate, 17 May 1917, p2. [S196] Newspaper - Dandenong Advertiser and Cranbourne, Berwick and Oakleigh Advocate (Vic. : 1914 - 1918) "30 Aug 1917, p2." [S11] Newspaper - Argus 20 Nov 1934 p1. [S11] Newspaper - Argus 14 Mar 1938 p11. [S16] Newspaper - The Age 15 Mar 1938, p6. [S11] Newspaper - Argus 8 Apr 1938 p4. Anecdote* 1909 Charles Kelvey PEARSON (b.c.1827; christened 4 Jul 1827 at Thorne, Yorkshire, England; d.28 Mar 1909 (#523) at Berwick, Victoria, Australia, of old age, heart failure, aged 83). Buried: 30 Mar 1909, Geelong New General Cemetery. (parents: Thomas PEARSON & Rebecca KELVEY). Had been in Victoria 58 years at the time of his death. In his obiturary, Berwick paper, 1909, it is suggested that he was: “.. an officer in the military party which stormed the famous Eureka Stockade”, Ballarat, December 1854, over strife in the Goldfields. Was visited by two distinguished visitors in 1881, Charles KELVEY and T.W. BROOKES. Catherine Lee HOARE gave birth to a boy at about this time and the child is named Kelvey Brookes Herbert PEARSON, in honour of the guests, who later sent the works of Sir Walter Scott in commemoration of their visit and the honour of having a child take their names. Was sent a gift of The New Revised Version of the New Testament from Ann Rebecca BAUER, his sister, then living in Cromwell, London, at age 78; dated 17 April 1907. Inventor of a Lever Escarpment, used successfully to clear Lake Wendoree at Ballarat, Victoria, to dredge, lift and load the bullrushes that threatened to prevent the use of boating on the lake, for which he won a prize. Prize was 5,000 pounds. Apparently left his second wife and children around this time. Occupation: Watchmaker and Jeweller, Avoca, by 1856. Apprenticed in watchmaking for seven years, in England. Foreman at Rothams, London, England, a Watch factory, run by his uncle, Charles Grant KELVEY and his partener, Mr. BROOKES, who handled jewellery and gems and dealt with India and the Raja of Sarawak, Borneo. A nephew of Mr. BROOKES went to the aid of the Rajas in quelling a rebellion and pirateering, fighting the pirates who stole from the gold trade between India and England, for which he was awarded land and became the White Raj of Sarawak. It is with deep regret that we record the death or Mrs. Ida Florence Luke, which occurred suddenly at her home, Montuna, Beaconsfield, last Sunday. Mrs. Luke had been ill for only a short time. She was 98 years of age. 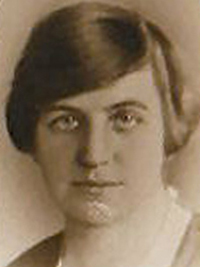 Her husband, the late Mr. E. T. Luke, predeceased her 23 years ago. Mrs. Luke had lived at Beaconsfleld for the past 48 years. She had eight children. She is survived by Victor, Monte, Una, Bert and Vera. [S5] Registry of Births Deaths and Marriages Death Index Victoria 1921-1985 "#D22330 age 98 [par Charles PEARSON & MASON]." [S65] Ancestry - various indices, wonnangatta added this on 29 Dec 2009. [S185] Property Titles. ; PROV (Public Records Office Victoria), C/T 1105-833 - Ida Florence Luke of Pine Lodge Upper Beaconsfield Married Woman - C/T 3499-704. [S185] Property Titles. ; PROV (Public Records Office Victoria), C/T 3499-704 - Henry Enever of 46 Barkly Street West Brunswick Dairyman. [S61] Upper Beaconsfield History Archive ,"Information provided to Charles Wilson by Lillie & Jack COOPER, and their daughter Jean RANKIN on 18 Sep 1990." [S18] Newspaper - Pakenham Gazette "10 Jun 1960, p1." Death-Notice* 5 Nov 1962 LUKE. Monte.—On November 3, dearly beloved husband of the late Elsie Luke, loved father of Peter, dear father-in-law of Monette, fond grandfather of Barry (deceased), Roland, Marilyn, and Pauline. 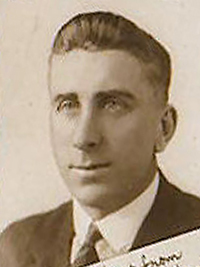 LUKE.-On November 3, at Sydney, Monte, the loved eldest son of the late Mr. and Mrs E. T. Luke, of Beaconsfield, and loved brother of Ernest (deceased), Una, Vic, Lil (deceased), Bert (deceased), Kelvey (deceased), and Vera, dearly loved uncle of Judy and Bryan. Peacefully sleeping. Cherished memories. Note* Monte by Bruce KELVEY: Edmund Thomas Luke and Ida Florence Pearson had 8 children. The eldest son Monte Luke like his father became a photographer spending most of his life in Sydney (Monte Luke Studios in Castlereagh Street). He was rather well known and the name of the studio is still used. As far as my father is aware, he did not emigrate to NZ and most likely is buried in Sydney. [S1] Registry of Births Deaths and Marriages Pioneer Index Victoria 1836-1888 "#B25718." [S345] Index of monumental inscriptions/burials, www.findagrave.com "https://www.findagrave.com/memorial/145373540." [S16] Newspaper - The Age 5 Nov 1962, p15. Death-Notice* 15 Jul 1959 LUKE. 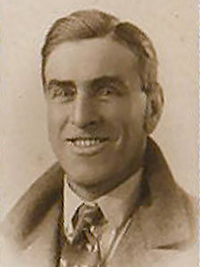 Ernest Reginald. —On July 13. In Melbourne, dearly loved second son of Ida and the late Edmund Thomas of "Montuna," Beaconsfield, and loved brother of Monte, Una, Vic, Lil (deceased), Bert, Kelvey (deceased) and Vera (Mrs. Dennis). No longer with us, our lives to share. But In our hearts you will always be there. (deceased), brother-in-law of Marge, and beloved uncle of Kelvey, jun. [S1] Registry of Births Deaths and Marriages Pioneer Index Victoria 1836-1888 "#B450." [S185] Property Titles. ; PROV (Public Records Office Victoria), C/T 3117-288 - Ernest Reginald Luke of Beaconsfield (Upper) Farmer. [S185] Property Titles. 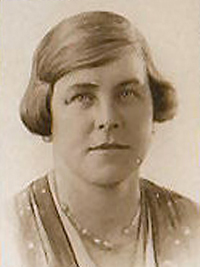 ; PROV (Public Records Office Victoria), C/T 3117-288 - Ellen Latham of 74 Stawell Street Burnley Widow. [S5] Registry of Births Deaths and Marriages Death Index Victoria 1921-1985 "#D9238 age 72." [S16] Newspaper - The Age 15 Jul 1959, p23. [S185] Property Titles. ; PROV (Public Records Office Victoria), C/T 6287-375 - As to the interest of Ernest Reginald Luke who died on 14 July 1959. Probate of his will has been granted to Herbert Stanley Luke of "Montuna" Beaconsfield Photographer. [S185] Property Titles. ; PROV (Public Records Office Victoria), C/T 6287-375 - Una Florence May Luke Home Duties and Herbert Stanley Luke Photographer both of "Montuna" Beaconsfield - as tenants in common in equal shares (as to 5 of 18 parts) - C/T 8306-923. [S35] Probate Records, PROV (Public Records Office Victoria), VPRS 28/P4, unit 1911; VPRS 7591/P3, unit 282. [S14] Newspaper - Leader, 29 Jun 1918, p14. [S1] Registry of Births Deaths and Marriages Pioneer Index Victoria 1836-1888 "#B17289." [S185] Property Titles. ; PROV (Public Records Office Victoria), C/T 6287-375 - As to the interest of Herbert Stanley Luke who died on 7th February 1961. Letters of Administration of his estate have been granted to Una Florence May Luke of Richardson Street Berwick Gentlewoman. [S185] Property Titles. ; PROV (Public Records Office Victoria), C/T 6287-375 - C/T 8687-808. [S185] Property Titles. ; PROV (Public Records Office Victoria), C/T 6287-375 - C/T 8704-787. [S185] Property Titles. ; PROV (Public Records Office Victoria), C/T 6287-375 - C/T 8953-483. [S35] Probate Records, PROV (Public Records Office Victoria), VPRS 28/P7, unit 330; VPRS 7591/P4, unit 487. Victor Mason Luke, a signwriter, aged 25 enlisted on 30 Jun 1915. he was with the 23rd Battalion, 5th Reinforcement, and his unit embarked from Melbourne on 29 Sep 1915 on board HMAT RMS Osterley. 3 Jun 1916, GERMANS "A BIT OF A NUISANCE." [S2] Registry of Births Deaths and Marriages Federation Index Victoria 1889-1901 "#B367." [S5] Registry of Births Deaths and Marriages Death Index Victoria 1921-1985 "#D5620 age 75." Monte, Ernie, Una, Vic., Bert, Kelvey and Vera (Mrs. Dennis). [S2] Registry of Births Deaths and Marriages Federation Index Victoria 1889-1901 "#B19363." [S11] Newspaper - Argus 12 Oct 1953 p10. [S185] Property Titles. ; PROV (Public Records Office Victoria), C/T 6287-375 - As to the interest of Lillian Myrtle Mabel Ivy Ashcroft (herein called Lillian Myrtle Ashcroft) who died on 10 October 1953. Probate of her will has been sealed with the seal of the Supreme Court of Victoria upon the application of Una Florence May Luke of Montuna Upper Beaconsfield Spinster. [S185] Property Titles. ; PROV (Public Records Office Victoria), C/T 6287-375 - Una Florence May Luke of "Montuna" Upper Beaconsfield Spinster - C/T 8253-170. [S19] Newspaper - Berwick Shire News and Pakenham and Cranbourne Gazette "6 Jan 1915, p3." [S218] Newspaper - The Dandenong Journal (1927-1954) "14 Oct 1953, p24." [S2] Registry of Births Deaths and Marriages Federation Index Victoria 1889-1901 "#B22427." [S35] Probate Records, PROV (Public Records Office Victoria), VPRS 28/P4, unit 2549; VPRS 7591/P3, unit 419. My grandfather was the third son to take up photography. My grandmother worked as a colourist at Monty Luke Studios and my dad assumes they must have met when his father was visiting his older brother Monty in Sydney. They were married in Sydney and subsequently moved to Mount Gambier and then to Warrnambool before moving back to settle in Bentleigh (south eastern suburbs of Melbourne). It was around this time that my dad arrived on the scene in 1936. [S2] Registry of Births Deaths and Marriages Federation Index Victoria 1889-1901 "#B2121." [S2] Registry of Births Deaths and Marriages Federation Index Victoria 1889-1901 "#B2023." [S11] Newspaper - Argus 12 Feb 1927, p17. Dennis Ernest Albert 1995 94 hus/ Vera Ida, f/ Judith, Bryan, grandfather. 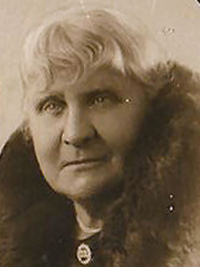 After she married her husband Herman in 1924, she assisted him in running a General Store which was on the corner of Wood Street and Beaconsfield Avenue. Soon after war broke out in 1939, the Roberts left the store and took over the Post Office at Beaconsfield. In the early 40's, several pensioners from the area now known as Guy's Hill, asked if they could collect their pensions from the store there, rather than go all the way to Beaconsfield. This was arranged by the Roberts. A little later when petrol rationing was introduced, a further request was made that the tickets for petrol also be made available at the store. This however, was only possible if the store was made a branch post office. Letters were written by local people to the Postmaster General's Department requesting this and about 1941, the request was granted. The Department then wrote to Mrs Roberts asking her to submit suitable names for the new Post Office. Mrs Roberts recalls "the storekeepers were a delightfully odd couple named Herb and Eadie Guy and the only name I could think of which would be suitable was Guy's Hill". Mrs Roberts submitted only the one name and it was accepted by the Department She admits "the Lukes were rather upset and wrote to the Department". The Luke family had built and run the original store in 1930, as well as making the Montuna Golf Course which opened in 1927. At the time there were also some letters to the papers and local controversy. In 1981 the name Guy's Hill was officially recognised by the Shire following a motion put by Councillor Keith Ewenson, who on behalf of the Council made enquiries locally and received the impression that the name was generally acceptable. He noted a local opinion that "it would cost money to change it". Older names for the area are Inebriates Hill, Middle Beaconsfield and Lukes Hill. [S35] Probate Records, PROV (Public Records Office Victoria), VPRS 28/P7, unit 362; VPRS 7591/P4, unit 495. [S3] Registry of Births Deaths and Marriages Edwardian Index Victoria 1902-1913 "#M6334." [S34] PROV (Public Records Office Victoria), Divorce Index: #1922/212. [S185] Property Titles. ; PROV (Public Records Office Victoria), C/T 3081-082 - Herbert Stanley Guy of Upper Beaconsfield Carrier - C/T 6285-831. [S185] Property Titles. ; PROV (Public Records Office Victoria), C/T 1098-416 - Herbert Stanley Guy of Beaconsfield Carrier. [S185] Property Titles. ; PROV (Public Records Office Victoria), C/T 6285-831 - Alma Lucy Fulton of 55 Spring Street Preston Married Woman. [S185] Property Titles. ; PROV (Public Records Office Victoria), C/T 4879-738 - Herbert Stanley Guy of Beaconsfield Driver - C/T 6630-850. [S185] Property Titles. ; PROV (Public Records Office Victoria), C/T 6630-850 - Sydney Allan Johnson of Green's Lane Dandenong Farmer. [S185] Property Titles. ; PROV (Public Records Office Victoria), C/T 4215-909 - Herbert Stanley Guy, Farmer and Edith Elizabeth Guy, Married Woman both of Pakenham Upper - joint proprietors. [S185] Property Titles. ; PROV (Public Records Office Victoria), C/T 4215-909 - Johan Louis De Haas, Farmer and Francisca Josephina Maria De Haas, Married Woman both of O'Neill Road Beaconsfield - joint proprietors. [S15] Newspaper - Village Bell "Issue 083 - December 1991, p16 by Charles Wilson." Tenure Expiry Date Please contact Administration regarding the tenure of this location. [S14] Newspaper - Frankston and Somerville Standard, 27 Apr 1928, p1. [S14] Newspaper - Frankston and Somerville Standard, 19 Jul 1930, p1.